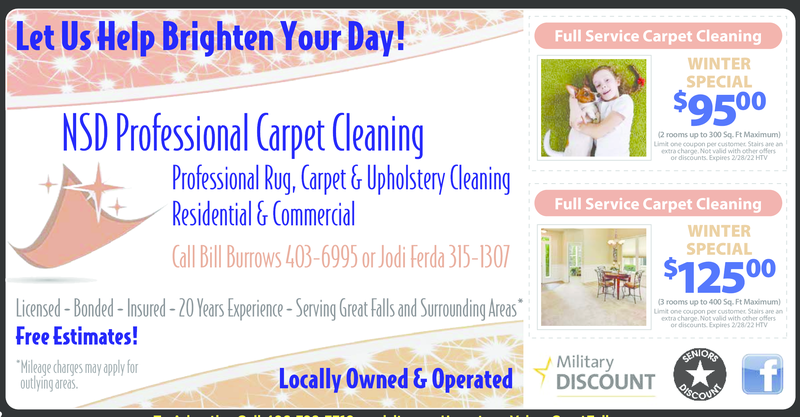 Call NSD Professional Carpet Cleaning located in Great Falls Montana for all of your Carpet Cleaning Needs! Spring Special $95.00 - Full Service Carpet Cleaning! Spring Special $125.00 - Full Service Carpet Cleaning!